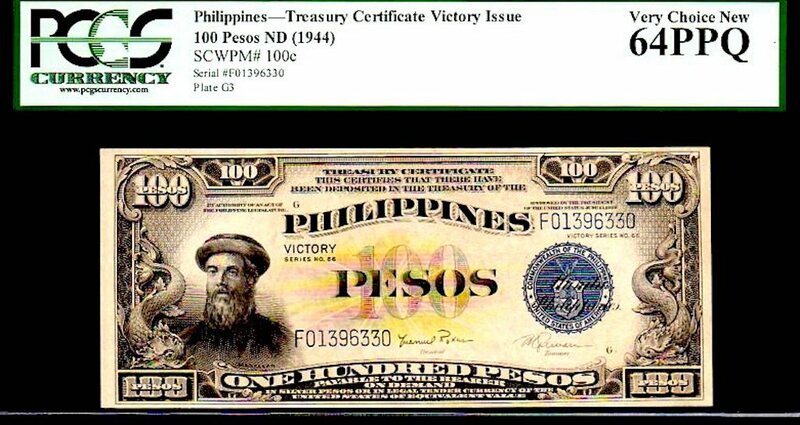 PHILIPPINES P100c 100 PESOS 1944ND PCGS 64PPQ “MAGELLAN” from CU RUN! 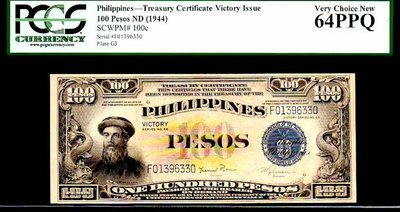 I procured this piece, along with a a couple of others (consecutive serial #) back in about 2010 directly out of the Philippines! 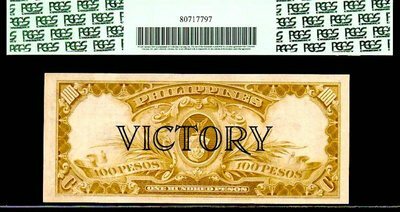 This is the much rarer “a” variety, opposed to the “c’s.” I’ve acquired extensive Philippine collection in over the past decade and without hesitation, this is the most iconic imagery and popular / sought after type. Prior to finding a couple of these back in 2010 ish, these notes ONLY came in very very low VF or Fine and generally with burns on them (cigarette’s). This piece is as crisp as the day it was issued and is absent of even any handling, it’s as near to perfect of what exists. 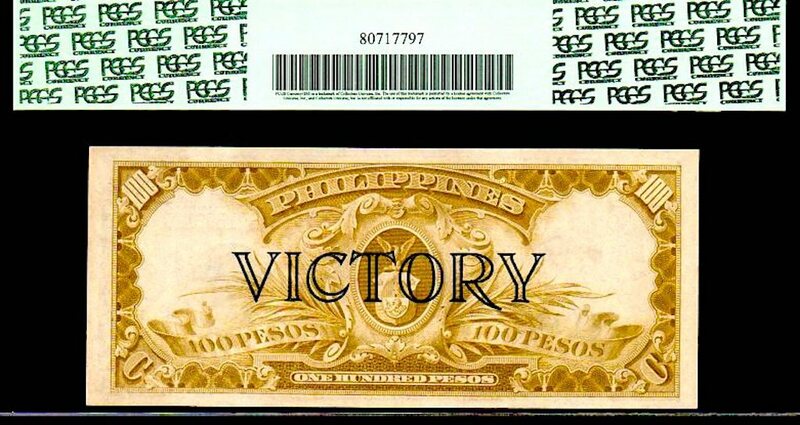 Every World Note Collection needs to have an emphasis on the Philippines and this note type is a must have!